OPPO wants to remind you that the MediaTek Helio P60 inside the F7 is one of the most powerful and efficient chipsets for midrange devices. And I agree. The MediaTek Helio P60 is actually more powerful than people give it credit. During testing, the OPPO F7 was fast and responsive, with no lag. On AnTuTu Benchmark, the OPPO F7 got an average score of 140,000 points. It allowed the phone to run a majority of games including PUBG, Hearthstone, Need for Speed Most Wanted, Lara Croft Go, and Marvel’s Contest of Champions without much problems. It also powers the phone’s AI Beauty Technology 2.0, that can scan up to 296 facial recognition points. 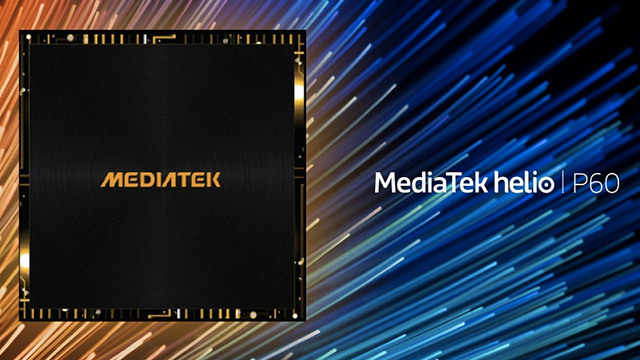 “Equipped with power and performance, the MediaTek Helio P60 brings consumers flagship features such as AI functions, fluid gaming experience, and smart camera functionality. With the power of Helio P60 at its core, the OPPO F7 gives consumers access to an incredible device with brand-new user experience at a very competitive price,” said TL Lee, General Manager of MediaTek’s Wireless Communication business unit. The chip is fabricated on a 12nm production process, and is widely considered to be the first smartphone processor that comes with two dedicated NeuroPilot APUs (Artificial Intelligence Processing Units). It is designed to be 80% faster than previous generation chips. 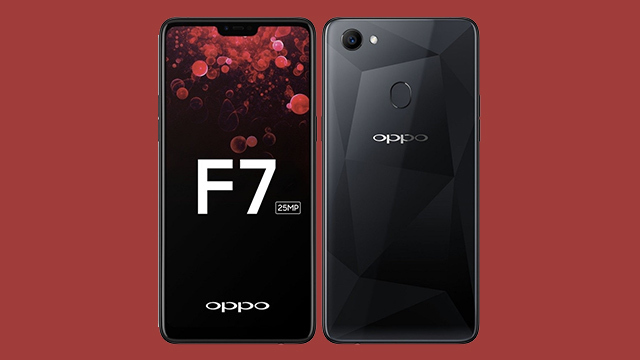 To recap, the OPPO F7 features a 6.23-inch full HD+ IPS display, an octa-core MediaTek P60 processor, 4GB RAM, and 64GB RAM of expandable storage. It also has a 3,400 mAh battery, and rear-mounted fingerprint sensor. The phone boasts a 25MP selfie camera with a f/2.0 aperture lens, a new Vivid mode, and AR stickers. The rear camera has a 16MP sensor with an f/1.8 lens, PDAF, AI Scene. The OPPO F7 has a suggested retail price of PHP17,990 (around USD346) for the 4GB/64GB variant, and PHP 21,990 (USD 421) for the 6GB/128GB variant. It is now available in stores across the Philippines. The Selfie Expert is also available via Smart GigaX Postpaid Plan 1499, and Globe Postpaid Plan 1499. Home Credit also offers 0% interest 9 months instalment in participating OPPO authorized stores nationwide.